The face cleanser intrigues me the most, Cleanser being a huge part of my beauty regime! I can imagine it smells lovely. 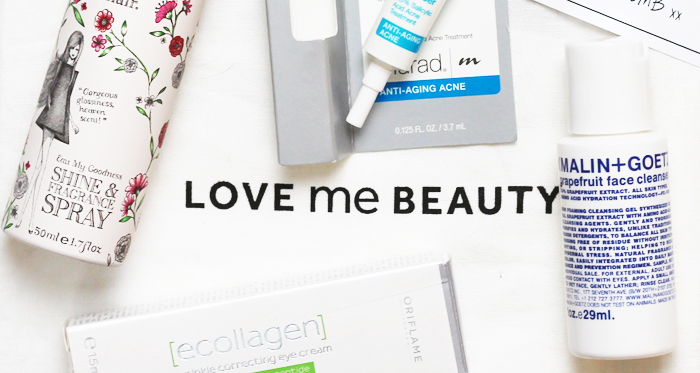 I think this new idea from Love Me Beauty is fabulous! I had a look a the options and nothing really stood out though. Mainly because I had a lot of the products in previous boxes! I'm looking forward to seeing what they add! 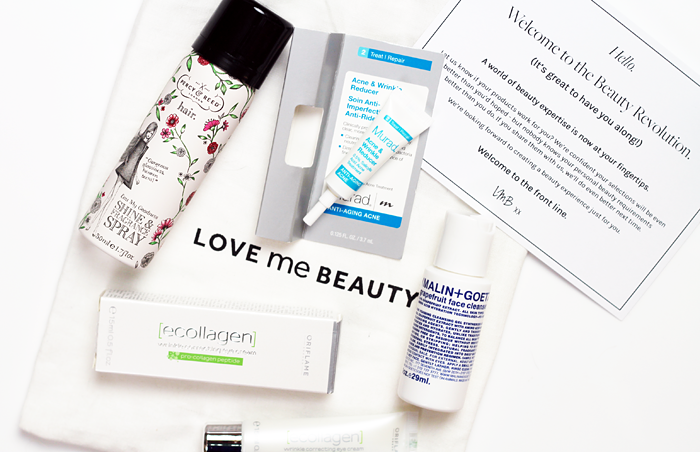 I used to absolutely love Love Me Beauty back when it was Beauteco Box, but the options just stopped being good for me which was super disappointing as I thought so highly of it at first. Now I've got My Little Box going and a Body Shop & Lush additction I don't think I really have any need for any more beauty products in my life - but now they've made this change I think I'll still have a look each month to see if I can be persuaded! i quite liked the menu idea but this sounds fun, too! and ooo shine spray- what is that for? is it shine spray for your hair? I was subscribed to LMB but when they relaunched they lost all of my account. I didn't really like the re-branding concept either so I just gave up with trying to fix it and left. I think it's a concept some people will like but it's not for me :) I've been subscribed to My Little Box instead since they launched and I love it!